A contentious quote, and one that Google has remained silent on since it was first publicized. Until today, when Chairman Eric Schmidt summarily dismissed it. Asked to comment on Jobs’s remark during his visit to South Korea today, Schmidt first declined, and then said simply that Android predated the iPhone. Which is likely true. 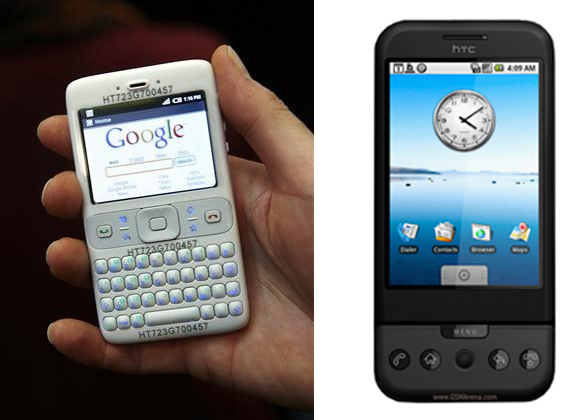 Android was founded in 2003 and acquired by Google in 2005, years before Apple debuted the first iPhone in 2007. Perhaps Apple began work on the iPhone prior to 2003. Who knows? That’s not the question here. 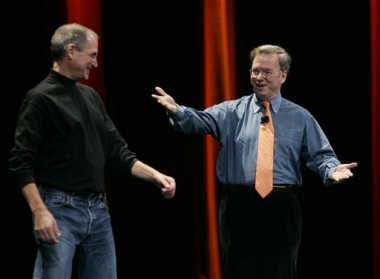 The real question is whether Jobs’s accusation that Google ripped off Apple’s vision of a mobile device is supported. And Schmidt, by deferring to the historical timeline, dodges it entirely. A wise move, considering what the company’s prototype Android handset looked like before the debut of the iPhone, and what the first Android smartphone — the HTC Dream — looked like when it finally arrived at market.